Dr. Nichols grew up near Washington DC, in the town of Clinton , Maryland. 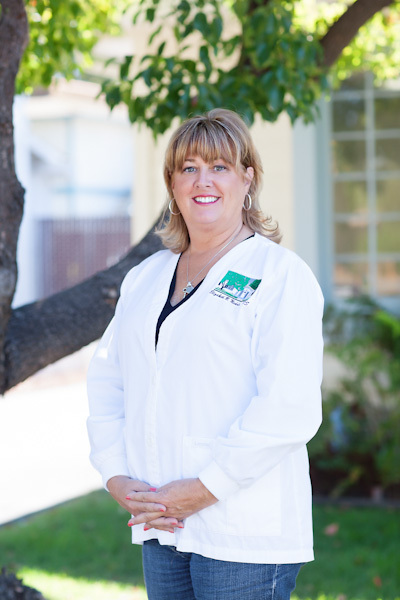 She first trained as a Dental Assistant, working closely with her own dentist for several years learning the inner workings of a dental office. She later graduated from Southern Illinois University as a Registered Dental Hygienist, and worked with many knowledgeable Doctors for fifteen years prior to being selected to attend the Baltimore College of Dental Surgery, University of Maryland Dental School. After graduation she was selected for a two year Advanced Education in General Dentistry (AEGD) residency at the University of California San Francisco, with special emphasis on geriatrics and special patient populations. She has been in private practice since 2000 . Her approach to Dentistry is conservative, modern and thorough, with a strong emphasis on good communications with her patients. She and her staff strive to make each visit a gentle, educational and positive experience. It can be said without exaggeration that many of her patients consider she and her staff as friends. Dr. Nichols is a member of the American Dental Association, the California Dental Association and the Contra Costa County Dental Association . She has been a member of the Concord community since 1996. Dr. Nichols has a daughter that recently graduated from college and has three adopted shelter pets that call her mom.